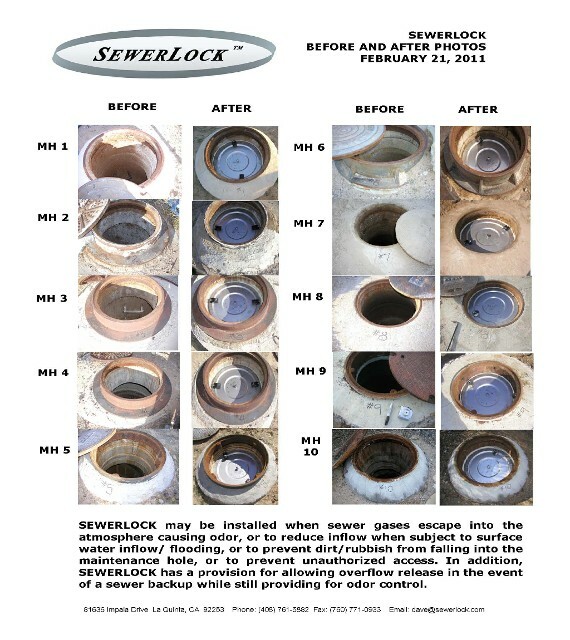 SEWERLOCK designs locks that are independent of existing manhole frames and covers and that can be set to release overflow from the sanitary sewer. SEWERLOCK is designed to keep people out, prevent dumping and theft, and provide environmental safety. Based in the USA, we ship worldwide. 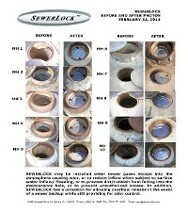 SEWERLOCK systems manage and maintain sanitary sewer flow and eliminate SSOs. The subring mounts under the existing cast iron frame and cover in any size or shape manhole without out modifying the existing structure including the existing cover. 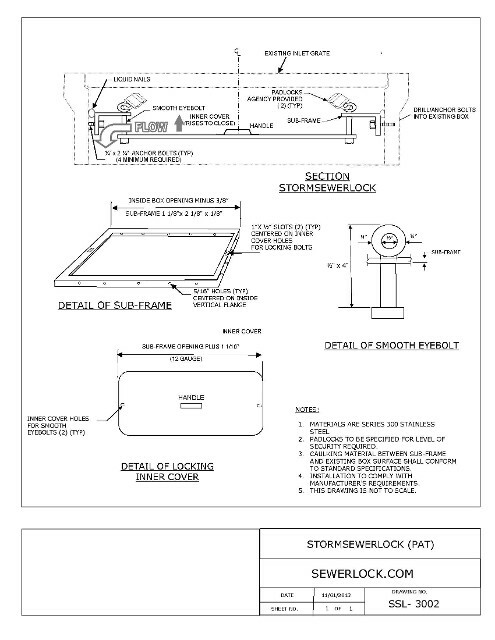 The SANITARY SEWERLOCK elimates storm water inflow and can be set to eliminate sewage overflows. 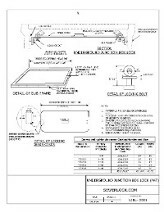 The inner cover prevents falls in cases where the street-level manhole cover has been stolen or removed. The existing manhole cover can be attached to the locking unit to prevent theft. Each device locks out unauthorized entry and can be ordered with odor control which features an air test hole so you can measure the air before the lid is removed. The device is made of stainless steel and does not corrode, providing a lifetime solution to securing the manhole. Locks can be ordered to match the keys of your other utilities for your convenience. There are no moving parts that can seize up. Lightweight and easy to install, you can install the device in less than 15 minutes. The STORM SEWERLOCK installs below the existing inlet frame and grate. It closes to maintain the capacity of the storm sewer pipe and prevents reverse overflow during periods of heavy rain and flooding. This keeps overflow from spilling from the inlet back into the street. It remains closed when the pipe is at capacity and prevents blowing off the inlet manhole covers into the adjacent street and sidewalks. When combined sewer systems fill up with storm water and sanitary sewage, STORM SEWERLOCK keeps the sewage and other toxic sediments in the pipe. During periods of high water the storm inlet remains closed, providing surcharge capacity for sanitary sewerage. After the peak period of the storm is over and pipe capacity is restored, the device automatically opens to allow the remaining storm runoff to enter. 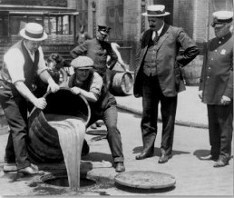 The SEWERLOCK BLUE INFRASTRUCTURE SYSTEM uses both SANITARY SEWERLOCK in the sewer manhole and STORM SEWERLOCK in the storm inlet to address concerns about contaminated sewage flowing into the waters of the state and US, which violate the Clean Water Act. Use SEWERLOCK in Grease Pretreatment Manhole to prevent dumping of products into grease traps that are not acceptable at treatment plants. Our locks are designed for food establishments, such as restaurants and grocery stores. Contact us at (888) 502-2484 in the USA, for MANHOLE LOCKS that are built to last the life of your manhole.